While it may be a great time to be in law school, considering future forecasts of possible sunshine and warm weather, those in the legal job or internship market right now may feel like they are standing in a frigid rainstorm, without an umbrella. Before you get swept away in the current, consider these tips to help you land a legal job or internship in today's economy. 1. Commit to the search. And this doesn't just mean money. Considering the amount of time you have invested in applying to law school, learning the legalese, and reading resources like this one, you are obviously interested in making the most of the experience. Spend time tailoring your cover letters to specific employers and judges you apply to. It can get tedious and may seem superfluous, but treat it like a routine that you go through for each separate application. A focused application will have an effect on the reviewers and could mean the difference between an interview or the circular file. 2. Get a second opinion. Send your resume out to a few professors, classmates, and family members for their opinions. If you feel your resume is just not netting you the results you want, then sure, invest some dough into having a professional service review and critique it. 3. Generalize or specialize. Depending on the positions you are applying for, consider whether you want show off your general legal capabilities, knack of strong research skills, and ability to think fast on your feet or whether you want to showcase your engagement in a particular subject or field of law. A combination of both would be ideal, but may not always be possible. If you are looking to intern with a judge. talk to your law school's career counselor to find out if anyone else from your school interned there and try to learn more about the judge and what he or she may be looking for in a clerk and try to highlight those qualities in your application. And if you are applying to a firm or organization, research their specialties and consider attending a lecture or reading journal articles in those fields. Being grounded in a future employer's field can make you the more-attractive candidate, not that you're not already good-looking. 4. If you mean it, blog it. If you are serious about a particular field of law, consider starting a blog on the subject or contributing to an existing one in the blogosphere. Creating a blog can not only build your knowledge in a dynamic legal arena and improve your writing skills, it can also create an online community of others interested and knowledgeable in the subject. And how impressive would it be to show a potential employer that not only are you interested in the field, you are actually active in publishing on it. Keep your blog professional, and you may be getting a call back sooner than you think...plus you may net a few new readers to your writing exploits. 5. Marking a message as spam, is not networking. Sure you receive numerous emails about local mixers, MCLE discussions, dinners, even volunteer events aimed at the legal community. And, perhaps due to lack of time, money or interest, they may be sent packing straight for your spam folder. If you are in job or internship mode, you have to find a personal balance for networking. And not attending relevant events is not networking. Networking does not always have to be a blasé encounter starting with a handshake and ending with a business card. It can be more subtle and more gradual. Believe it or not, once you start attending local Bar Association and alumni events you will notice that there a number of usual suspects who also regularly attend. And though the first few times might feel a little socially awkward, once you know who else will be there, you may even find yourself having a good time. And some of the candid dialogues and connections that take place between professionals in an informal setting cannot be replicated in a formal application or interview process. 6. Don't skimp on formalities. If you are new to the formal job or internship process it may feel odd to have to follow up with a written thank you note even though you heartily shook the interviewer's hand and thanked them for the opportunity to meet them. But don't look at it like another form of saying thank you, but rather another reason to remind them you exist. If you have ever been in an interviewer's shoes, you know that often after the umpteenth application and interview, many of the candidates begin to run together and appear similar from a distance. Your courtesy thank-you cards or follow-up phone calls can serve to remind your interviewer who you are and can create a rapport between you and your potential future employer. Formalities don't need to be "formal"...so you can save your Shakespearean renditions for the theater...but they should definitely take place. 7. Sure, you can double-fist, but can you double-shift? As you traverse the application and interview process, you may land something. And that is great, but it may not be what you wanted. Depending on whether it is a full-time or part-time commitment, consider double-shifting by taking on a volunteer or research role in addition to your paying job. You will be surprised at how building working knowledge and expertise in a field can help you get closer to landing your ideal job. Plus, you may impress a few employers or organizations with your dedication along the way. 8. Treat pride like a piece of cake, be ready to chew and swallow. A legal temp? Never! You may have come gone to law school so that you would not be slotted to temp positions and modest hourly wages, but this is not the time for excessive pride. Parallel to your ideal legal job or internship search, sign up for multiple legal temp agencies. They can afford you the one thing that may be lacking in your resume, work experience. Plus, you never know what a lasting impression of strong work can mean for future prospects with that employer. 9. If you build it, will they come? 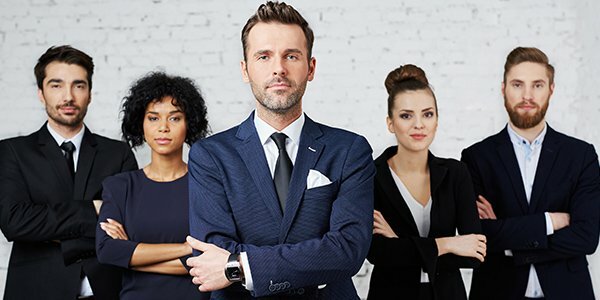 For those licensed attorneys searching for a legal job, if you feel you have left no stone unturned and taken all of the steps humanly possible to find a job, consider putting out a shingle. Whether as a solo practitioner or LLC, go through the steps and look into taking on cases under your own name. Whether or not it becomes your future, you will learn an incredible amount, and build business experience on top of that. There are a number of resources on FindLaw and online to guide you as you find a way to use the newly-minted Esq. added to your name. All in all, though dismal, prospects are never hopeless. Keep taking steps to survive the economic downpour or find ways to wait it out.